ACTING HARD and being soft. So I have a few updates, update and developments. The Gran Show at Bristol Old Vic went well. People seemed to enjoy it. I got some smashing audience feedback and I’m excited to go into the next stage of the project. I have become a trial member of Artist Collective Interval, an artist led studio space and support network based in The Exchange building above St Nicholas Market in Bristol. The most interesting thing we spoke about today was acting hard and being soft. As an artist we are all put in situations where we have to act hard. With funders, with bookers, in meetings, with venues, with technicians, when writing applications. We have to look like we know what we are doing. We have to be leading the way, because most of us work as independent artists or directly represent a small collaborative group, and there is no one else to spear head the operation, push it forward or act like the big boss. We have to make difficult decisions. We have manage our affairs and We have to seem like we know what we are doing at all time. We have to ACT HARD. But sometimes we don’t know how to do any of the above. And feel pretty mush and soft and vulnerable. And this is what I think Interval’s greatest strength is, and I only needed to flick down the facebook group wall on the day of my induction to understand this. It is a group of people united be a sense of vulnerability. I dont know how to do this, do you? Could you share some information with me about this? Would you mind helping me with this? Because I dont know what I’m doing right now, and I can’t really tell anyone because I have to ACT HARD, and Im worried that I am making mistakes. At Interval you can just ask, you can be frank about your vulnerablility. Knowing that someone else might feel the same, have felt the same and will probably feel this way again. And so its members are united in their vulnerability and within that grows an open-ness and honesty, that through sharing and and hypothesising and talking individuals within the group can be better than the sum of their parts. Feeling less alone, in what is a sometimes a scary industry, full of over saturation, self determination, and repetitive failure. And I feel a little sad that I feel the need to ACT HARD all of the time. Yet we also spoke about times when we needed to take responsibility for when we are hard and when we are soft. We needed to be harder in certain areas, for example transparency with our budgets. When an organisation/ collaborator/ booker raises an eyebrow at a fee, we have a duty to explain patiently and fully why we have valued our work in that way, what we believe in that has lead to that decision. We hope that our openness and honesty and hardness is taken seriously. And we hope that we will not be rejected at this point for being hard, for being firm for being clear about when we need in order to continue to make work. 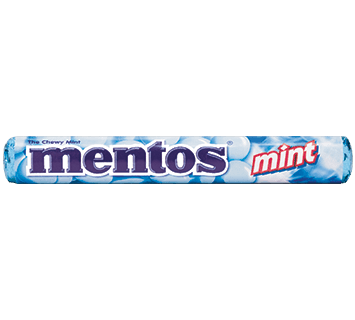 So from now on, Im going to try to let my hardness and softness co-exist, I’m going to be a little bit more like a mento.